Are you an Android application developer or designer ? 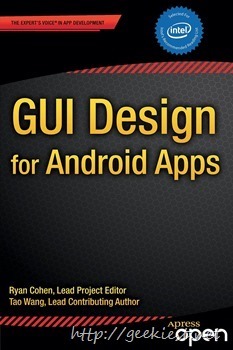 Here is a Free Kindle eBook named “GUI Design for Android Apps” from Apress written by Ryan Cohen and Tao Wang. The book is having 4 chapters spread in 156 pages. This chapter covers general GUI design method for desktop applications and how android GUI design is different from that. This also discuss about the general methods and principles of Android GUI design. Introducing android GUI and sample applications. Covers applications with multiple activities. It also covers examples of application with parameters triggered by an activity in a different application.